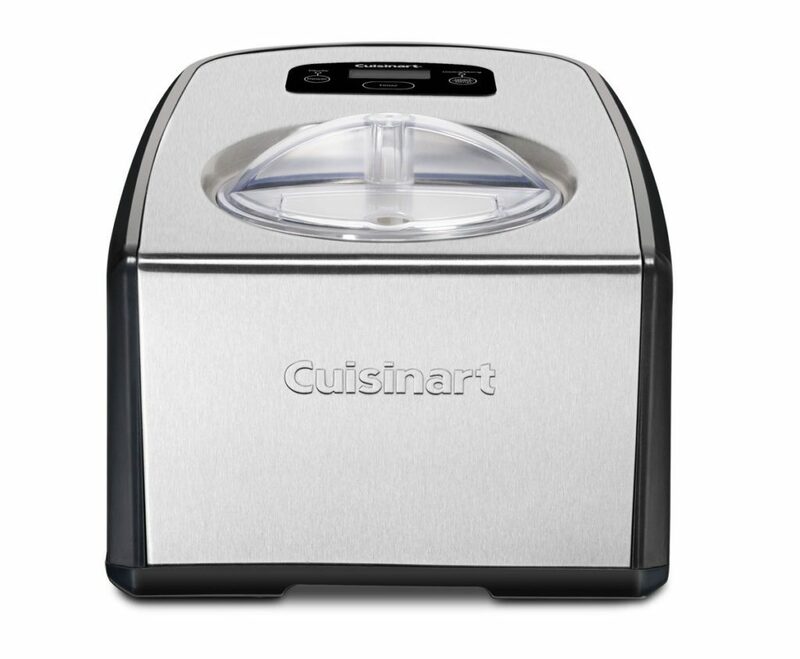 For occasional ice-cream or gelato, the Cuisinart ICE-100 is hard to beat with its relatively low price. Many ice-cream makers say they also can make gelato, but gelato has a different consistency and feel than ice cream. The Cuisinart ICE-100 has two different paddles, one for ice-cream and the other for gelato. The Cuisinart is entry level, so broken or worn down plastic parts do become an issue. Power with the plastic parts is also an issue compare to units that are all stainless steel. The dimensions are 16.00” x 12.00” x 9.00” and the weight is 32lbs. It’s capacity is 1.5 quarts in about an hour. The Cuisinart is entry level, so broken or worn down plastic parts do become an issue. Power with the plastic parts is also an issue compare to units that are all stainless steel. The other drawback is production time. 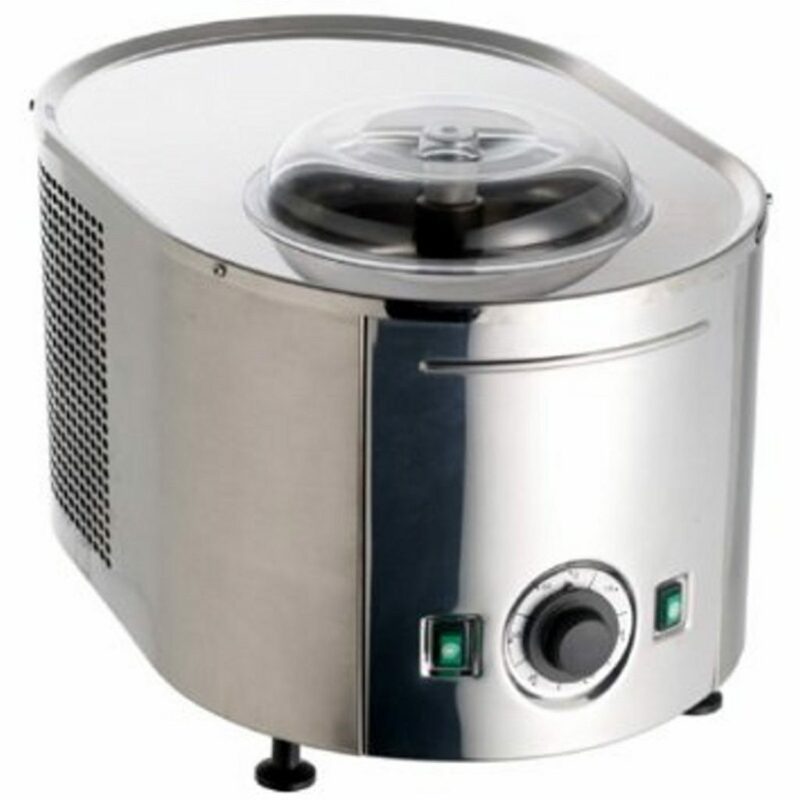 If you’re looking to make ice-cream or gelato for yourself and another person, it’s fine, but for large gatherings, you’ll want something that doesn’t require 40-60 minutes to produce a batch or followup batches, but at around $190, it’s a great alternative to the faster and sleeker machines. Our number two pick is the exquisitely beautiful and very versatile Breville BCI600XL Smart Scoop Ice Cream and Gelato Maker . Breville’s designs are sleek, elegant, and their equipment is powerful. The Smart Scoop makes Ice Cream and Gelato. Normally, the multi-functions don’t mix well, but with the higher-end devices such as the revile and the Lello (our #1 coming up), the quality is superb, and the ease at which you can select your options really makes a difference. The Breville has a simple dial that you turn to select your desired dessert as well as the hardness setting of that dessert. It almost couldn’t be easier. 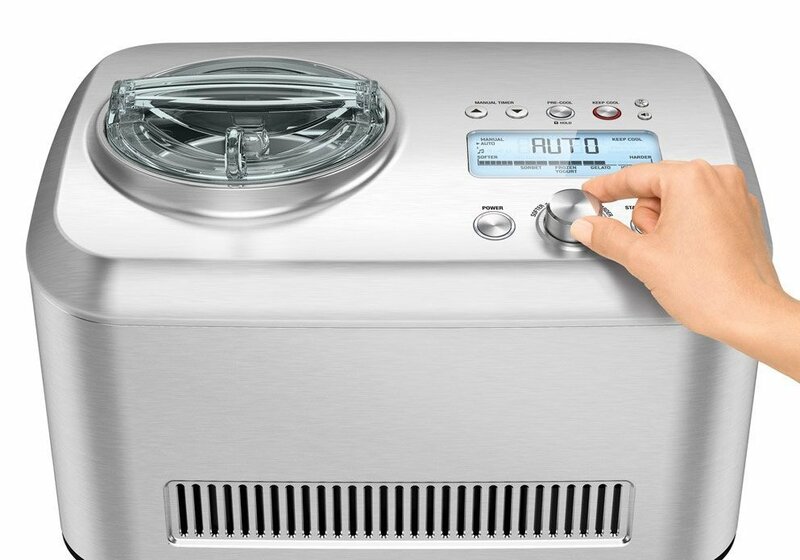 What makes the Breville Smart Scoop Ice Cream and Gelato Machine impressive? The Breville Smart Scoop is more pricey than the DeLonghi (about $399), but the ease of use, the digital display, child lock features, make the Breville a shining example of beautiful design. Breville makes great working and great looking products. If you’re super serious about making artisan gelato, then look no further than the Italian-made Lello 4080 Musso Lussino Ice Cream and Gelato Machine. Another favorite is the larger Lello Musso Pola 5030. Lello is the top of the line Ice Cream & Gelato maker. If you’ve been to Europe and want to recapture the taste of Gelato from there, the Lussino is the machine that comes out on top. The Lussino is professional grade and made of stainless steel. Say goodbye to aluminum and plastic! The mixer blade is made of stainless steel as well whereas almost all other ice cream makers have plastic mixers that can break or wear down. The European design is simple, yet elegant, but it’s the taste that matters, and the stainless steal beauty really does make a difference. If you’re considering an Italian gelato machine, then the names “Nemox” and “Musso” come to mind. Both companies fabricate machines for home and professional use, and I’ve had several over the years. By far, if you are looking for quality and authentic Italian gelato texture and ice-crystallization, look no further than this machine by Musso. It’s made better than anything by Nemox (which uses plastic and/or silicone parts that wear down over time.) The Lussiano looks beautiful in your kitchen, makes a fine array of desserts, and will last for years. Trust me though, it won’t sit idle. The Lello doesn’t come cheap, but that’s for a reason, the quality of the parts and the taste and texture of the final product speak for themselves. 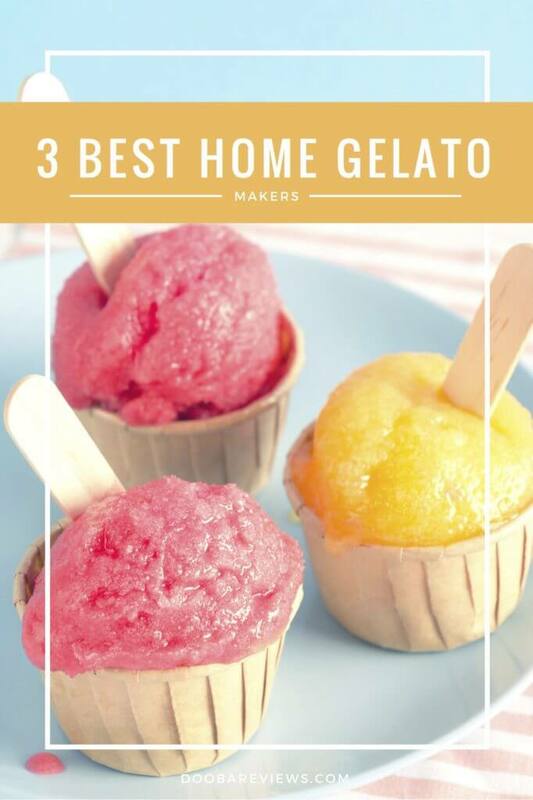 Makes Gelato that tastes like artisan gelato! The other beauty is that in addition to Gelato and Ice Cream, you can make frozen yogurt as well. Read more of the reviews on Amazon for the Lello Musso, and you’ll see the difference a professional grade Gelato Machine can make.